"Each of you comes here today hopeful, wanting in on the game. A month ago, you were in med school being taught by doctors. Today, you are the doctors. The seven years you spend here as a surgical resident will be the best and worst of your life. You will be pushed to the breaking point. Look around you. Say hello to your competition. Eight of you will switch to an easier specialty. Five will crack under the pressure. Two of you will be asked to leave. This is your starting line. This is your arena. How well you play, that's up to you." This is a famous quote that almost any Grey's Anatomy fan can remember from episode one in 2005. 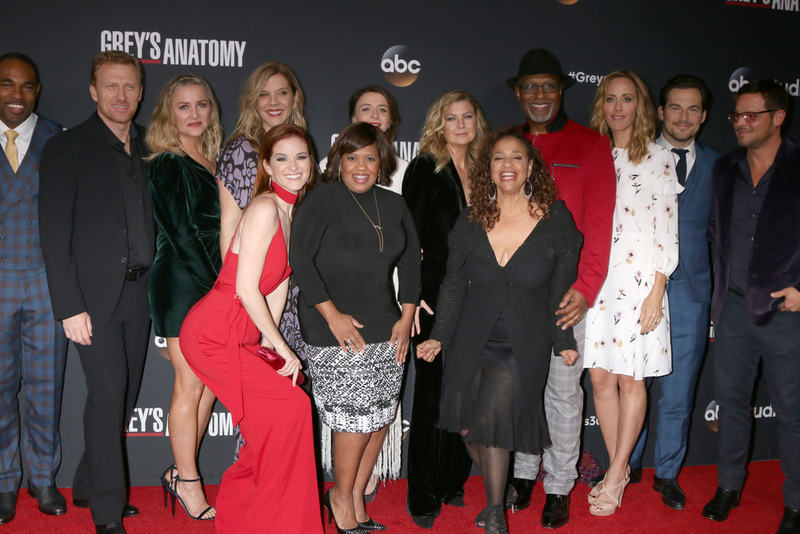 It was stated by Dr. Richard Webber, then Chief of Surgery, played by James Pickens Jr.
On Thursday, February 28, 2019 the cast of Grey’s Anatomy celebrated their 332nd episode breaking ER’s record as the longest medical drama on T.V. ER aired from1994 until 2009 and had 331 episodes. Grey's Anatomy also surpassed M*A*S*H which had 256 episodes. The show Scrubs was on from 2001-2010 and it had 182 episodes. It also surpassed House, which was on from November 2004 to late May 2012 and aired177 episodes. Grey’s Anatomy premiered on ABC on March 27, 2005 and is a medical-based drama centered around Meredith Grey played by Ellen Pompeo. She is an aspiring surgeon and daughter of one of the best surgeons in history, Dr. Ellis Grey. Throughout the series, Meredith goes through professional and personal challenges along with fellow surgeons at Seattle Grace Hospital. Grey’s Anatomy has flourished and it is in its 15th season. The main characters on the show, in addition to Meredith include: Derek Shepherd played by Patrick Dempsey, known as McDreamy, Meredith's husband, and head of neuro. He died at the end of season six. Alex Karev is the Chief of Pediatrics and interim Chief of Surgery. He is played by James Chambers. Christina Yang was the head of cardio and played by Sandra Oh. Christina Yang left in the end of season 10 to pursue her dream of working as the Chief Medical Officer at Klausmann. Miranda Bailey is the Chief of Surgery and is portrayed by Chandra Wilson. Dr. Mark Sloan was the chief of plastics and was portrayed by Eric Dane. He died in season nice. Amelia Shepherd is Derek's sister and became the head of neuro after Derek died. She is played by Caterina Scorsone.Owen Hunt is head of trauma and played by Kevin McKidd. The episode, “We Didn’t Start the Fire” aired on February 28, 2019 and was not a special episode, despite breaking the record. The episode focus around a party thrown by Jackson Avery (played by Jesse Williams) for his mother, Catherine (played by Debbie Allen). This season is very important to Grey’s Anatomy. Not only is it the celebration of the 332nd episode, but it is also the season which focuses on empowering women. Ellen Pompeo was recently interviewed on Nightline with Juju Chang had said, “Women don’t really need men. We don't need the approval of love to make you feel good,” Ellen said. Shonda Rhimes, the producer and created of the show tweeted “Accomplishing something history-making is an excellent way to close out #BlackHistoryMonth. Well done, #GreysAnantomy15 family!” Throughout the 15 years Grey’s has implemented race and gender equality from having a transgender nurse come on in season 15 and having an interracial marriage in season three. This season has a lot of changes to come. Grey’s Anatomy has been entertaining fans since 2005 and with the milestone of 332 episodes, it doesn’t show signs of stopping. Marvel and DC Comic fans have always been enthusiastic about new movie ideas or trailers.